3 Ajaw 8 Ch’en. Drawing by Jorge Pérez de Lara. MAM is always grateful when we are part of a team effort. Dr. Grube has been giving advanced workshops for Guatemalans ever since the early days of Linda Schele, and he continues to do so with the organizational support of the Sak Chuwen Group. 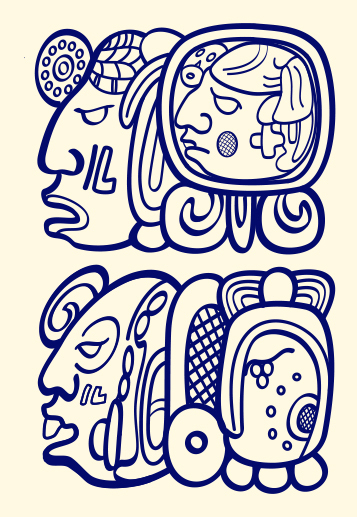 MAM is happy to play a modest role in this annual event in which Maya epigraphers advance their knowledge. Lectures given by profesor Nikolai Grube (photo by Negma Coy). 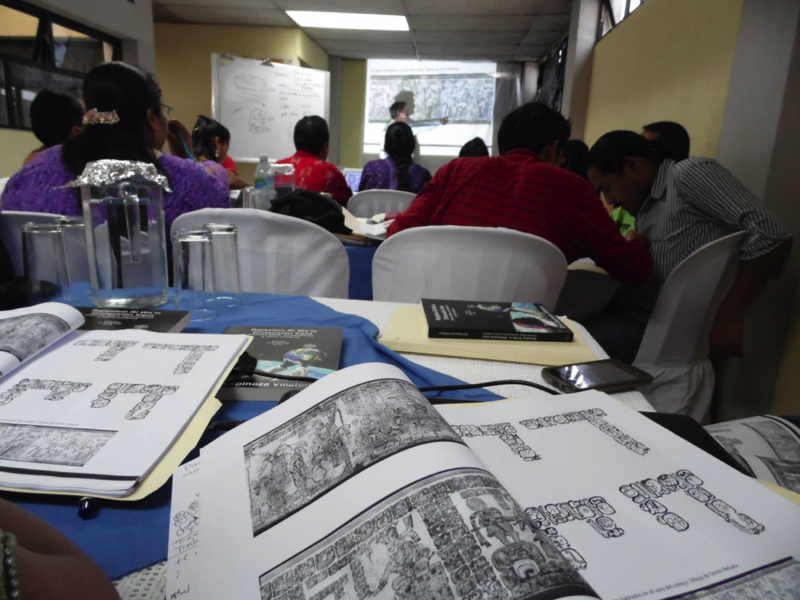 From July 20 to 26, an advanced workshop in Maya epigraphy took place with great success in Guatemala City. The workshop titled “Hieroglyphic Texts and Iconography on Maya Ceramics” was led by Profesor Nikolai Grube from the University of Bonn. The workshop consisted of a series of activities that included lectures by Grube, group exercises, and a visit to various archaeological sites with the goal of reinforcing the knowledge gained during the classes.